Final Fantasy XII: Revenant Wings is the sequel to the popular PlayStation 2 game Final Fantasy XII. Taking place one year after the events of Final Fantasy XII, heroes Vaan and Penelo are now sky pirates with an airship of their own. Their search for treasure leads them to the floating continent of Lemurés, where they rediscover the Aegyl race of people, who have wings upon their backs but a lifespan of only 40 years. 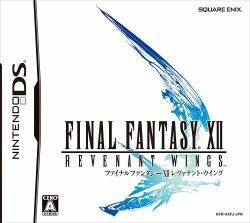 Revenant Wings was the first title released under the Ivalice Alliance series of video games. This page was last edited on 2 February 2011, at 09:00.